The top-level talks between the ruling Cambodian People’s Party (CPP) and the main opposition Cambodia National Rescue Party (CNRP) ended this afternoon with fruitful outcomes, H.E. Prum Sokha, a senior CPP official, told reporters at a joint press conference after the talks. The negotiations, held at the Senate Office from 09:00 am to nearly 02:00 pm, ended successfully with fruitful results, said H.E. Prum Sokha, adding that the leaders of CPP and CNRP agreed on seven important points to settle the year-long political crisis following the parliamentary elections on July 28, 2013. Both parties agreed to work together in the National Assembly (NA) towards solving national issues based on the principles of democracy and the rule of law, he underlined, affirming that the CNRP’s elected lawmakers will take oath and attend the NA’s session soon. According to H.E. 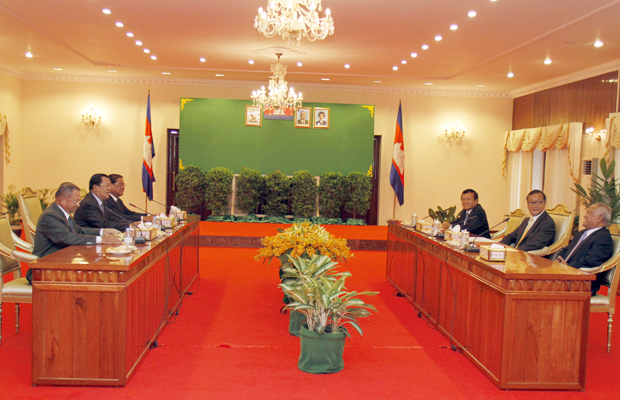 Prum Sokha, CPP and CNRP agreed to reform the National Election Committee (NEC). The NEC members have to be approved by 50-percent plus one, while this independent institution is composed of 9 members (4 selected by the ruling political party, 4 by the political parties that have NA seats, but do not join a coalition with the government, and 1 by the agreement between the political parties having NA seats). 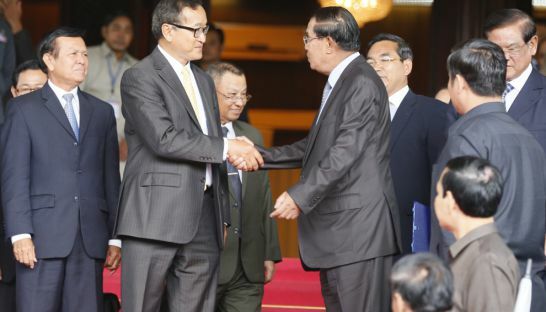 Both CPP and CNRP agreed to re-organize the NA’s leadership by dividing the leadership role in the Standing Committee by the 7 to 6 formula and by establishing another new NA’s commission – the Commission on Investigation, Clearance, and Anti-corruption. This new commission will be chaired by a CNRP lawmaker, he said. With the new structure, the NA president will be from CPP, the first vice president from CNRP, and the second vice president from CPP. CPP will chair the NA’s 2nd, 4th, 5th, 6th, and 9th commissions, while CNRP will chair the 1st, 3rd, 7th, 8th, and 10th, the newly established commission, he added. Besides, the two political parties agreed to re-arrange the date for the next elections, but not to hold the re-election, stressed H.E. Prum Sokha, before continuing that they also agreed to examine the re-organization of the Senate’s leadership, as well as to reform and strengthen key state institutions, especially the independent institutions so that they can serve the nation and people in accordance with the principles of multiparty democracy and the rule of law. 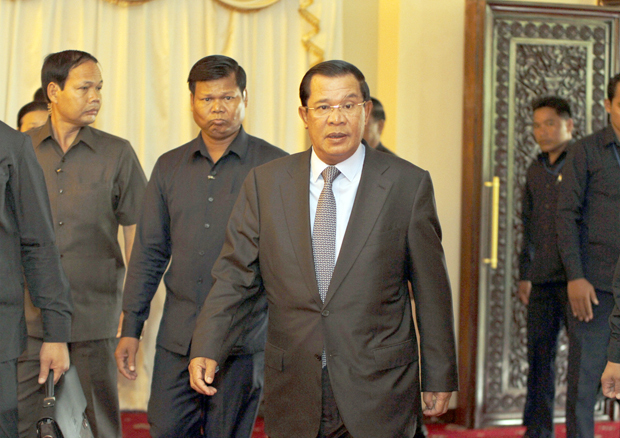 The CPP delegation to the face-to-face negotiations was headed by its Vice President Samdech Akka Moha Sena Padei Techo Hun Sen, while the CNRP delegation was led by its President H.E. 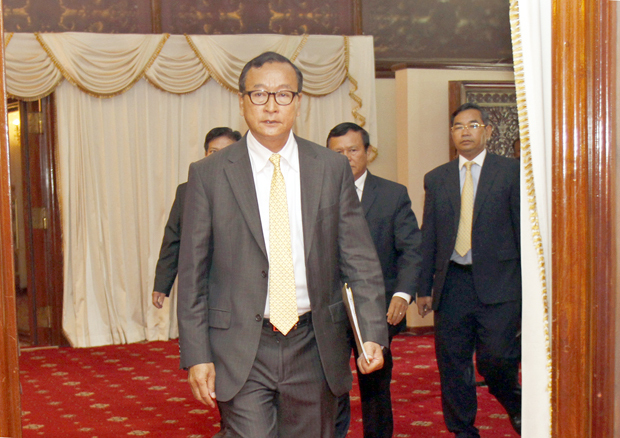 Sam Rainsy. The official results of the July 28 national election showed that CPP won 68 parliamentary seats, while CNRP got the remaining 55 seats.